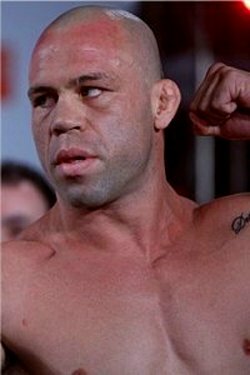 Nothing could stop MMA legend Wanderlei Silva from envisioning a great future--not even his right knee that has just undergone surgery. Though he still has full months of recovery, he is hopefully looking ahead to his return at the octagon probably in February or March. He still managed to attend last weekend’s UFC 118. Now 34, he rattled off names he would like to face, but it is a matchup with Anderson Silva that he could not hide his thrill from. If the other Silva wants him, he is surely going to fight him. But a Belfort vengeance has not died down in the legend’s heart. A 44-second round and it was all over for him at the UFC: Ultimate Brazil in October 1998. That remains the most lopsided defeat of Silva’s career. Silva described Belfort as fast, tough and a really good match for him. But he admitted Belfort is a very calm fighter, while most are nervous during fights. Now Silva wants another shot at a championship. He is not definitely going to stop at a victory over Michael Bisping and surgery. The pro said, “I think my best days will be back soon.